Let’s hear it for Glenda Larke! One of the most creative and innovative writers in the fantasy genre today is Australian author Glenda Larke. For those of you who want to see a story not based on medieval Europe, Glenda is the writer for you. And even if you do love the medieval backdrop (as I do, obviously!) she is still the writer for you. Glenda has led probably the most astonishing and unique life I ever heard of, and all of that amazing experience finds its way into her books. 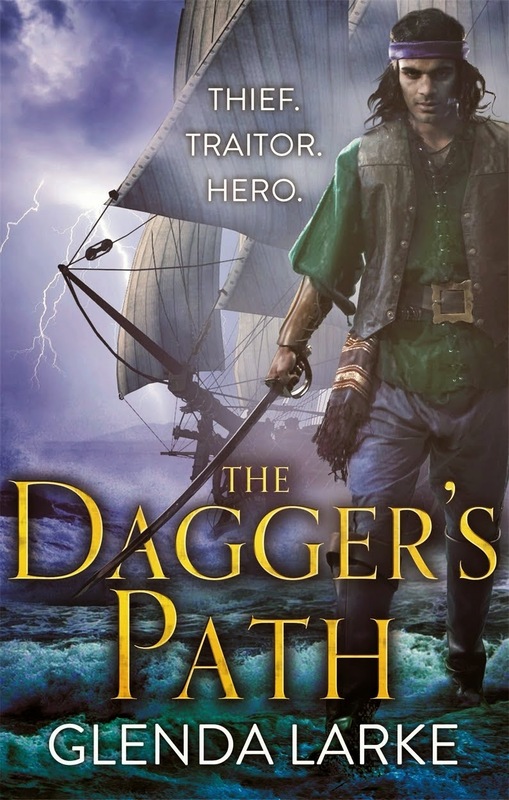 The Daggers’s Path, the second book in her Forsaken Lands trilogy, is out on sale now. Below is the lovely cover. Here is a link to her blogsite where she talks some more about the story. Stay tuned for a guest blog post, as soon as she’s got a moment to herself! I count myself privileged to be Glenda’s friend, but that’s not why I’m celebrating the release of her new book. It’s a great story – and great stories should always be celebrated!